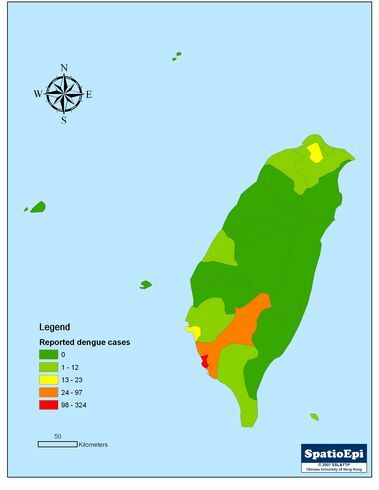 Tracking Ovitrap Index is a means of assessing mosquito growth, which in turn supports the evaluation of dengue risk in the population. 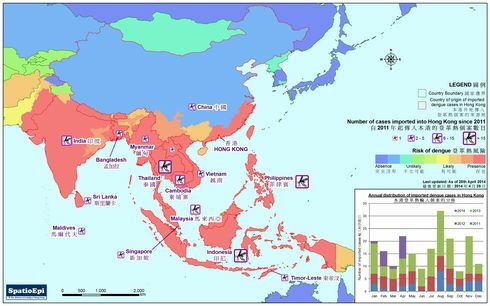 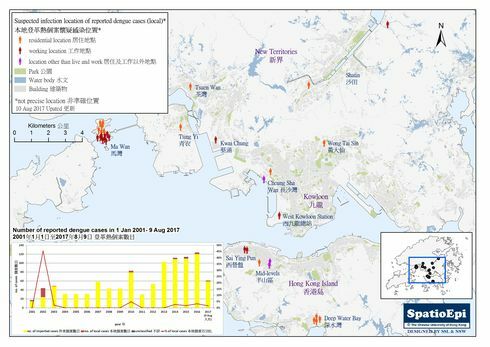 The map shows the distribution of ovitrap indices in July 2007 in Hong Kong, using data collected from 37 Ovitrap stations set up by Food and Environmental Hygiene Department, Hong Kong Government. 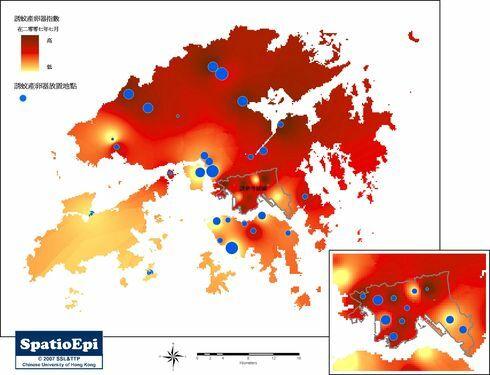 The indices have been averaged and interpolated to cover the whole of Hong Kong, illustrating the spatial heterogeneity of the figures. 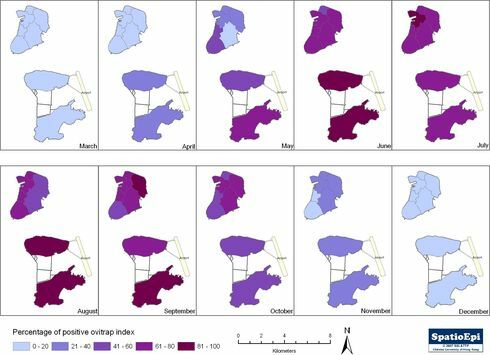 Since the indices have been processed, the map no longer shows the actual values, and interpretation must be treated with caution. 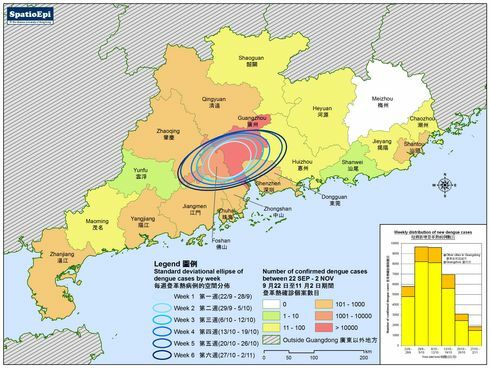 Inset shows the pattern in Kowloon peninsula.